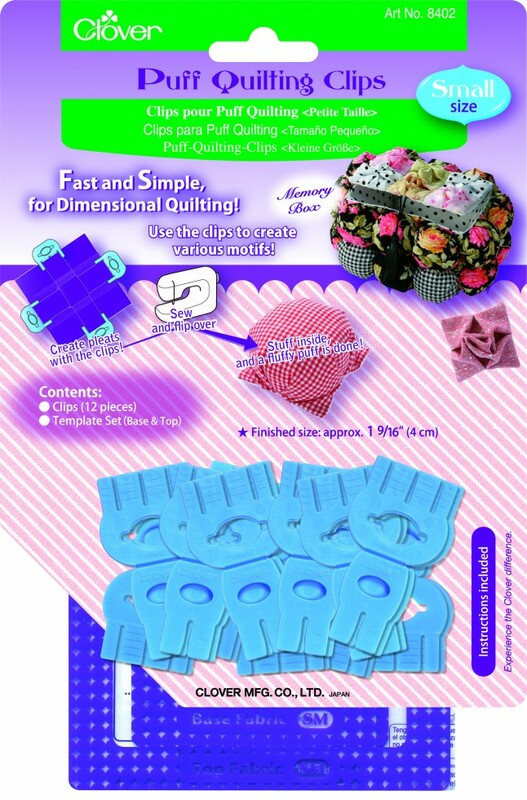 Clips for making puff quilting fast and simple. Use the clips to create various motifs(cross, rose, windmill, fluffy puff), which are marked using the inclusive templates. Finished puff size approx 4cm.